This is an awesome location in Shandon located within walking distance to USC, shops, restaurants on Devine. Brand new granite in kitchen. New carpet in Family Room & Bedrooms & updated Baths. Master Bedrm has 1/2 Bath. Hall Full Bath with tub/shower adjacent to both Bedrooms. Big closets & storage space. Wonderful patio opens to reserved parking spot for this condo providing easy access to exterior. The common areas of the Hermitage include: lovely atrium, library, fitness facilities & spacious lobby. 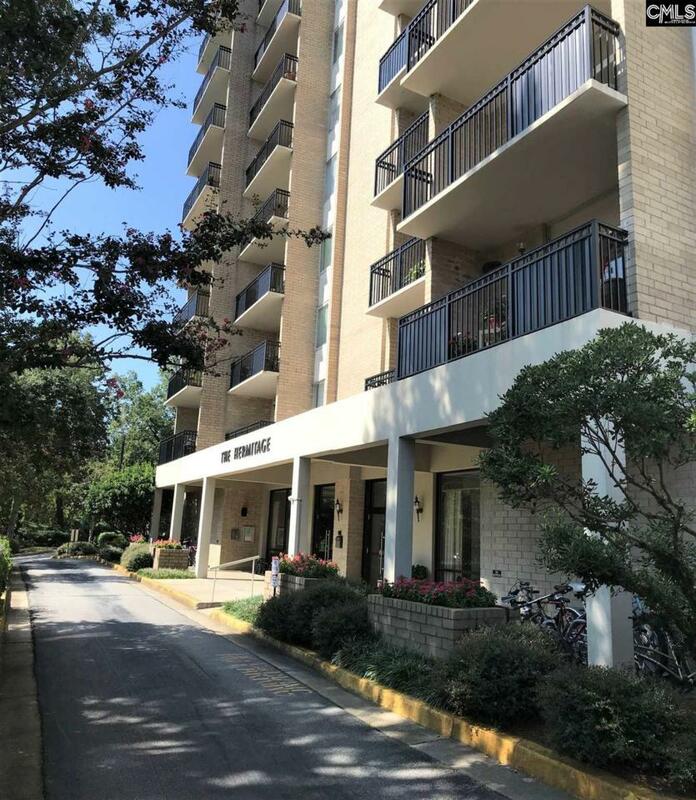 Private/secure access makes this condo a terrific option for a variety of residents! #107 is Corner Condo in the Hermitage with high ceilings & pull up parking (no stairs to climb or elevator wait! ).